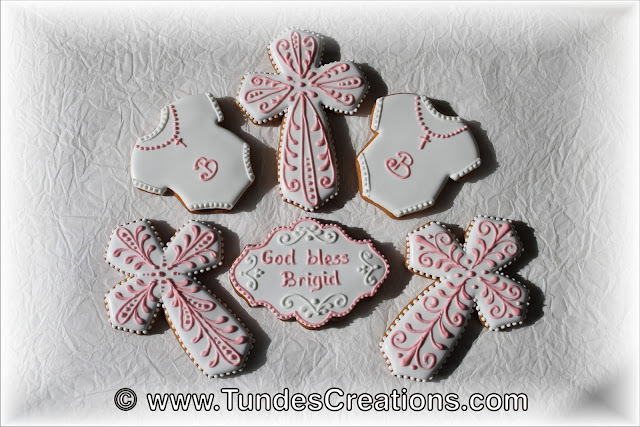 Today I would like to share this baptism cookie set I made for a sweet little girl. 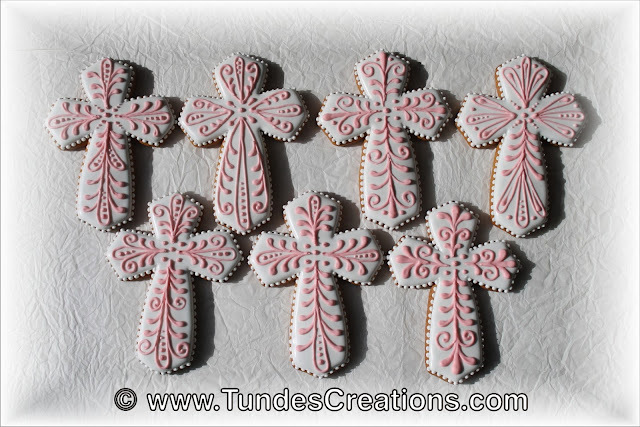 The simple white onesies complement beautifully the lace decorated cross cookies. 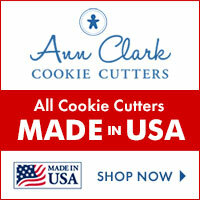 I plan on getting your cross cutter from cookiecutterkingdom. I am hoping I can find one here too, otherwise I have to wait for delivery or try to cut a cross cookie shape. Big laugh! lol i love your designs! and hope to attempt these designs soon!